Divya Jyoti Jagrati Sansthan recently organized a programme illuminating the masses of Jodhpur, Rajasthan about inner awakening. 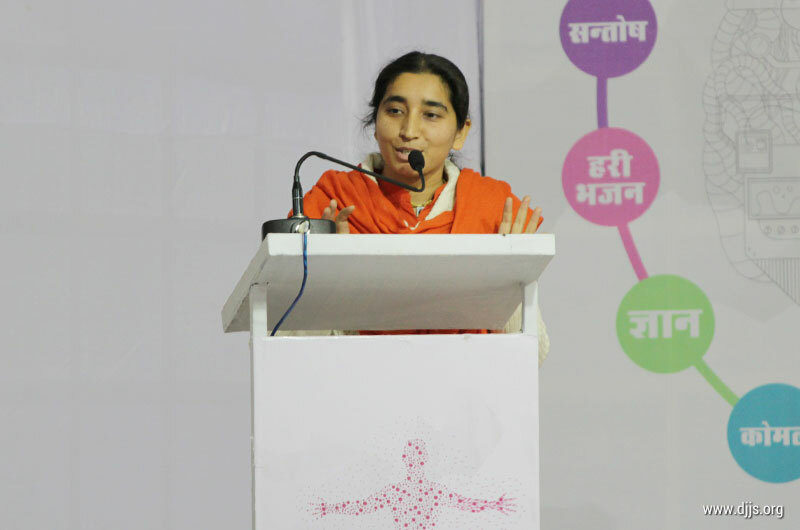 The theme of the programme was aptly selected as “NIRMAAN”. The best part of the programme was the spiritual play which truly impressed the people. The discourse interspersed with devotional songs by the learned Preacher of DJJS made people understand the significance of spirituality in life. Inner awakening helps a person to realize his true identity and unites him with the supreme power through which an individual is able to transform himself into a better human being and achieve purity of the highest order. As such it is said appropriately that “only a changed individual can bring change in this world”. To elaborate the concept further, when the thoughts are changed, the mind is changed; when the mind is changed, the man is changed; when the man is changed, the society is changed; when the society is changed, the nation is changed. With such changed nations, world peace becomes an attainable reality. Materialism is the cause for outer destruction; spirituality paves way for dynamism and inner construction!